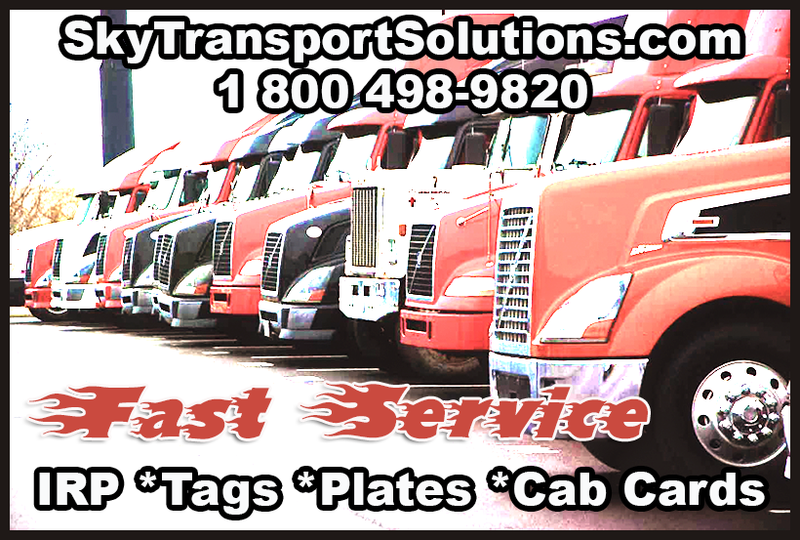 Call 1 800 498-9820 Fast Service to get your truck a IRP tag. Send us your Telephone Number and we will contact you and explain about IRP Tags and apportioned plates and all our services. For more information, call one of our knowledgeable staff to assist you with IRP tags for your truck. To make paying fuel taxes easier for truckers and trucking companies, the IFTA and IRP programs were set up to work in conjunction with each other. IRP is a cooperative agreement for registering vehicles that travel into two (2) or more jurisdictions. IFTA (International Fuel Tax Agreement) is an agreement between member jurisdictions for the uniform collection and distribution of fuel tax revenues. Basically the truck driver must maintain a record of miles traveled in a particular state and the dates of travel and the truck driver must note where fuel was purchased and how many gallons and at what price the fuel was purchased at. Most drivers use an trip permit log to track miles and fuel for their truck. This is a very important for every newbie truck owner operator to understand and have the paperwork in place to be legal and in compliance. Maintaining the trip permit fuel log is not too difficult, however the IFTA requires quarterly reporting. The quaterly reporting can be time consuming and error prone, that is why you as the truck driver should select Sky Transport Solutions to handle your IFTA quarterly filings. But the first step for the owner operator is to get the IRP tag.